They are found growing in fields and along roadsides. 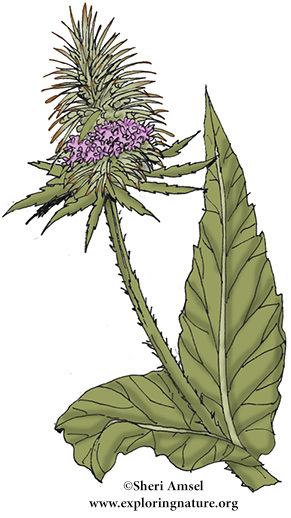 They have a prickly stem and tiny, lilac flowers growing around a spiky, thistle-like head. They bloom all summer. They were introduced in the 1700's to become an aggressive invasive.